When it comes to your investment portfolio, diversification is the best strategy. Unfortunately, many people struggle when it comes to finding diversified investments that meet their financial goals. According to a Bankrate survey, 23% of Americans listed cash as the best way to invest money they wouldn’t need for a while, compared with just 17% who prefer stocks. One of the troubles is deciding which types of investments to include for the best performance. Consider the two popular options: ETFs, or exchange-traded funds, and mutual funds. Which is Safer, ETFs or Mutual Funds? 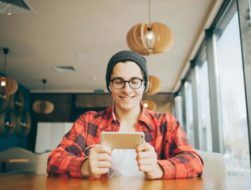 Which One is Better for Long-Term Investing? 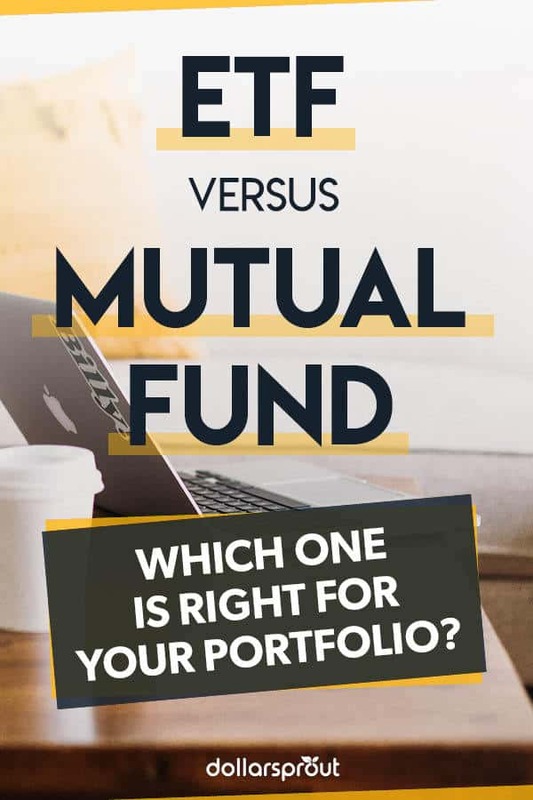 ETF or Mutual Fund: Which Should You Choose? Both ETFs and mutual funds involve pooling money and using it to buy a mix of different assets. Depending on the ETF or mutual fund you select, a single purchase could gain exposure to a broad range of various assets. When it comes to your portfolio, is an ETF or a mutual fund a better investment choice? In order to properly compare mutual funds and ETFs, it’s important to understand each investment individually. An exchange-traded fund, or ETF, is a collection of securities bundled together in a single basket. Common assets you might see are stocks, bonds, and commodities, or some combination of the three. Grouping these different securities into a single basket makes them more attractive because it delivers an almost automatic diversification. The redemption and creation of ETSs come in larget lots. The shares trade throughout the day directly between investors on the open market. This gives you the added value of transparency because their holdings are generally disclosed daily. ETFs come in a wide variety, and you can use the different funds to accomplish clear investment goals. Two examples are market ETFs, which are designed around a particular index such as the S&P 500 or NASDAQ, and bond ETFs that provide exposure to bond investments like the ones you’ll find in the U.S. Treasury, corporate, international, and more. Mutual funds are a collective pool of money used to invest in various securities like stocks and bonds. Once you buy shares, you get a claim to the profits from the investments contained in the fund. Due to the combined nature and the distribution of expenses, every shareholder in a mutual fund shares equally in the value of gains and losses. Mutual funds aren’t bought and sold by individual investors, which is an added benefit of including them in your portfolio. Instead, a money manager who has the professional skill and time available to allocate your funds better, handles the funds. The fund manager uses your money to buy into various securities according to your investment goals like long-term growth or fixed income. Some funds are riskier than others, but the diversity of assets in a mutual fund keeps the risk relatively low. Since both ETFs and mutual funds are made up of a mix of assets, the two are similar in structure. Though there’s no perfect fund, you need to understand the best and worst of each before deciding which is right for your portfolio. You can utilize ETFs for short-term trading, long-term trading, or a combination of both. Here are the advantages and disadvantages of including exchange-traded funds in your investment strategy. Buying a mutual fund is a relatively simple process. Banks and brokerage firms often have their own line of in-house options and include a wide range of asset classes and strategies. Here’s an overview of the pros and cons to consider with mutual funds. Both ETFs and mutual funds are an easy avenue to invest in stocks and bonds. When deciding between the two, here are some of the factors you should consider before investing. Perhaps the most significant advantage of a mutual fund is that it’s more actively managed than most ETFs. With an actively managed fund, you gain access to the professional insight and skill of a professional money manager. They use their knowledge to attempt to beat the market and aim for a better return by buying and selling stocks on your behalf. Actively managed ETFs exist, but they usually come at a much higher price. Most ETFs are passive, and they’re set up to automatically track an index such as the S&P 500 or the NASDAQ. The best part of an ETF is the enhanced flexibility over mutual funds when it comes to trading. The investor and fund handle ETF sales directly rather than going through a professional manager. ETF prices fluctuate throughout the day according to market demand. This is different than the cost of a mutual fund, which is set at the end of the business day when the net asset value (NAV) is determined. Mutual funds often come with higher fees because most are actively managed by an experienced person or group of professionals. The costs of owning an ETF are typically lower, though buying and selling can get expensive. You can trade an ETF at any time during a trading day, and you’ll pay a commission for each trade you make. Mutual fund trading happens after the markets close, which leads to limited expenses. Investors have to pay taxes on capital gains and dividend income for mutual funds and ETFs since they’re both treated the same by the IRS. However, mutual funds are subject to more frequent taxable events than exchange-traded funds. The manager of a mutual fund is continuously rebalancing the assets to distribute them properly or to accommodate shareholder redemptions. Asset sales, in this case, become a taxable event. For ETFs, the underlying securities aren’t sold because the shares are traded directly between investors. This process usually excludes the exchange as a taxable event, making them more tax efficient overall. Many mutual funds have high investment minimums, making it a challenge to add them to your portfolio if you don’t have a lot of money saved. Even less experienced investors who are saving for specific goals through target-date mutual funds often have to meet a minimum investment of $1,000 or more. ETFs typically don’t have a minimum investment requirement, and you can buy as little as a single share to add to your portfolio. This low barrier to entry makes it an excellent option for small investors who are looking to include ETFs in their portfolio. Since the liquidity of a particular investment represents how quickly it can be converted to cash, ETFs are considered more liquid than mutual funds. An ETF is adaptable to short-term trading, mostly due to a higher number of shares traded throughout the day and the ability to buy and sell at any time the exchange market is open. Having the option to enter and exit ETF positions quickly makes the liquidity of this type of fund higher. Mutual funds are less flexible because the trading is done only once per day after the markets close. While this is a great option for long-term investors, this limited period to buy and sell mutual funds reduces the liquidity. When considering an ETF or mutual fund, here are answers to some common questions about performance and safety you’ll ask yourself. If you own shares of an ETF, you receive dividends based on the number of shares you own relative to the number of shares in the fund. Some dividends pay interest instead, such as in fixed-income ETFs. However, most do offer a payout, and you’ll get a dividend each quarter. Whether an ETF or mutual fund is safer depends on your individual goals. There’s no such thing as a safe investment, but there are strategic advantages to each that you should consider. To determine an investment’s safety, evaluate the mangament of the fund, the fees and expenses involved, the performance history and the types of underlying assets contained in the fund. There isn’t one clear winner when it comes to deciding if an ETF or mutual fund is better for long-term investing. ETFs are generally better for short-term investing because they can be traded multiple times during the day on an open market. Though their tax efficiencies make ETFs a good option for long-term investing, too. Mutual funds can only be traded once per day after the market closes, making them less adaptable to short-term investing. But considering a short-term investment is one you hold for a year or less, you can easily apply this investing strategy to mutual funds. When it comes to investing, there is no one-size-fits-all solution. Mutual funds and ETFs are both suitable choices to diversify your portfolio. You’ll want to consider your tax strategy, how much you can spend, and if you’re going to be more hands-on or would rather leave it to a professional money manager. Overall, it depends on your individual investment goals. 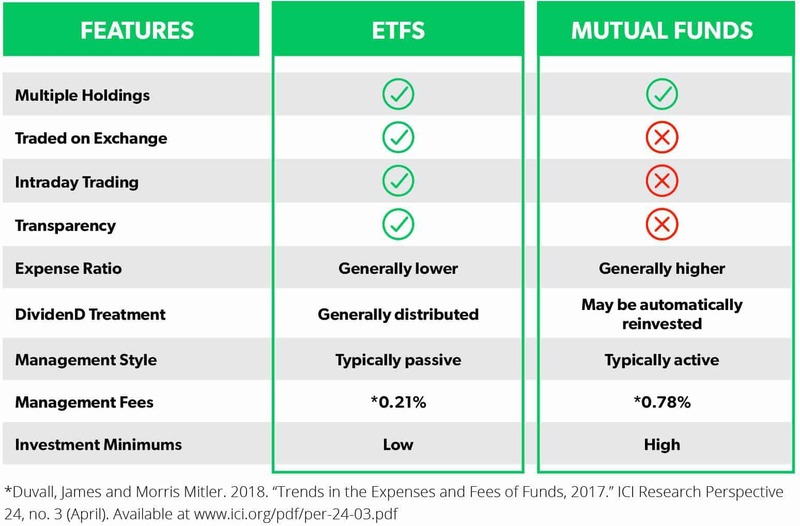 There’s more selection to choose from when it comes to buying a mutual fund, but ETFs have more flexibility because they’re traded like stocks. As you evaluate your options, you’ll see how each might impact your investment process. This will help you pick the perfect fund for your portfolio.